Dr. Samuel s heads the non-profit Global Clearinghouse for Development Finance (GlobalDF) aimed at advancing the mobilization of the private sector for development. Advocacy includes chairing Africa investment forums (World Bank, New York Stock Exchange). Prior positions with over 30 years of finance, credit, and policy experience related to developing countries include: Chase Manhattan Bank's Director of Country Assessment, where she was responsible for managing US$50 billion of country risk exposure worldwide; Managing Director of Moody's Emerging Markets Service (developing a joint venture with the IFC); Project Director of the Council on Foreign Relations' Roundtable on "Country Risk in the Post Asia Crisis: Identifying Risks, Strategies, and Policy Implications;” and President of the Association of Political Risk Analysts. She also served as adjunct professor at Columbia University's School of International and Public Affairs; and as an Advisory Board Member of Georgetown University’s Landegger Program in International Business Diplomacy, New School University’s Center for Economic Policy Analysis, and Pace University’s Center for Global Finance. Publications include Managing Risk in Developing Countries (Princeton University Press); “Emerging Markets are Here to Stay,” in Foreign Affairs; and “The Untapped Potential for Development"
Over the last 30 years, Mr. Sheppard has advised international and entrepreneurial private sector companies, multilateral development banks, and governments on developing and financing infrastructure projects using his skills as an attorney and investment banker. Mr. Sheppard previously served as Co-Head of the Global Project Finance Group at Bank of America, where his work covered syndicated bank loans, private placements, capital markets and a wide variety of financial advisory assignments. He designed the “Foreign Exchange Liquidity Facility” that was provided by the Overseas Private Investment Corporation as part of the US$300 million AES Tietê bond issued for hydroelectric projects in Brazil. This issue received an investment- grade rating at a time when Brazil’s sovereign ratings were B1 and BB-. Mr. Sheppard also teaches international project finance as an adjunct professor at the Moore School of Business at the University of South Carolina. He was also a visiting scholar at Stanford University in 2010-2011. He received J.D. and M.B.A. degrees from the University of North Carolina at Chapel Hill, from which he also has an M.A. in European history and where, as an undergraduate, he was a Morehead Scholar. Tom Cochran has over 30 years experience as an investment banker mobilizing capital for water, sanitation, renewable energy, transport, education, healthcare and other infrastructure in the U.S. and emerging markets. 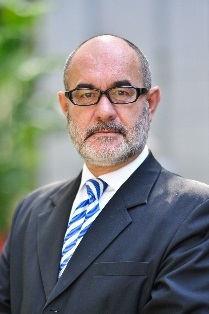 Since 2005, his consulting firm CivilCredit Advisors LLC has served clients including the EIB, EBRD, World Bank, IFC, JBIC, USTDA, UNCDF, and AMF Guaranty Corp. (a planned commercial financial guarantor concentrating on locally-denominated infrastructure, housing, SME, and MFI debt transactions in emerging markets). He has also advised the US Department of Energy’s Office of Loan Programs on renewable energy projects, as well as the Idaho National Laboratories on its next-generation nuclear power R&D program. From 1997 until 2005, he led MBIA Insurance Corporation’s successful restructuring of high profile infrastructure credits in Indonesia, Aruba, Chile, El Salvador, and the US PPP sector. Prior to joining MBIA in 1997, Mr. Cochran advised on emerging market infrastructure and general sub-sovereign finance as a consultant and as Executive Vice President of the Resources Development Foundation, heading its International Public Finance Program; managed the North Atlantic region for Lehman Brothers Public Finance department, where he focused primarily on renewable energy and environmental infrastructure transactions; founded the Northeast-Midwest Institute regional policy research organization on Capitol Hill (where he now serves as immediate-past Board Chairman); and served as an Education and Healthcare finance policy advisor to New Jersey Governor Brendan Byrne and New York City Mayor John Lindsay. He received a B.A. from Beloit College and a Master of Public Affairs (M.P.A.) degree from Princeton University’s Woodrow Wilson School of Public and International Affairs. 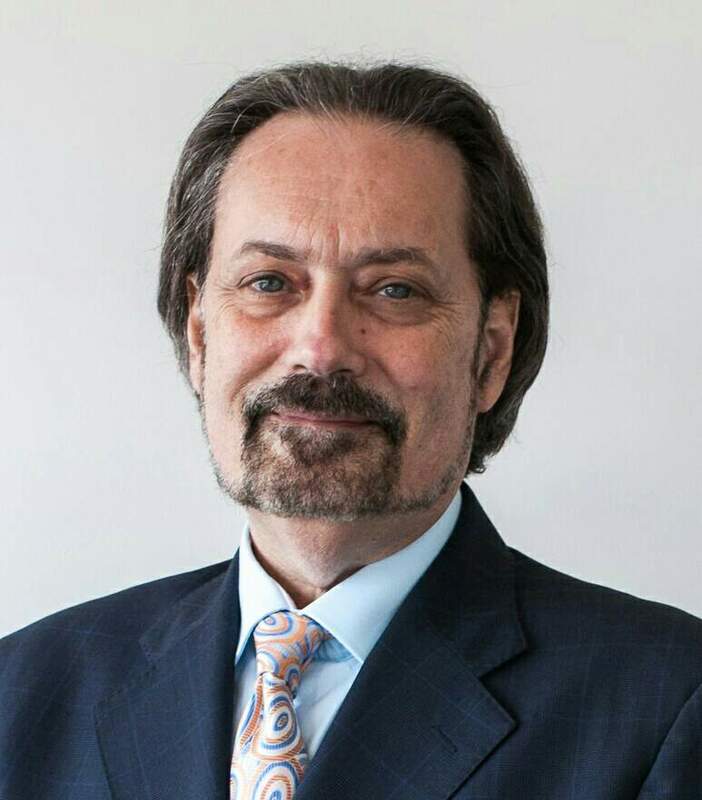 Mr. Bellinger has spent the last 33 years working for leading public and private sector providers of risk mitigation and credit enhancement products in facilitating private investment and trade in a wide range of sectors in over 100 developing countries. Mr. Bellinger is currently a Senior Consultant with the African Development Bank’s (AfDB) Initiative for Risk Mitigation in Africa (IRMA). Prior positions include: Lead Guarantees and Syndications Specialist, Asian Development Bank (ADB); Chief Underwriter, World Bank’s Multilateral Investment Guarantee Agency (MIGA), also helping to develop its guarantee program at inception; Vice-President for Political Risk Insurance at the American International Group (AIG); and Regional Manager for Insurance, responsible for Africa at the U.S. Overseas Private Investment Corporation (OPIC). Mr. Bellinger has degrees from Harvard Business School (Executive Development and Corporate Finance Program); a Masters in International Management from the American Graduate School of International Management (Thunderbird); and an M.A. in International Relations and an B.A. in Political Science from the University of Kansas. Bill Streeter is an international infrastructure and municipal finance specialist with over 30 years of experience. From 2011 to 2014, he was at Hastings, where he served as CEO and Director of Hastings Funds Management Asia in Singapore, working on an India infrastructure debt fund initiative and a Shariah finance facility initiative for Indonesia. Bill also served as a member of the Hastings Debt Investment Committee. Bill has a long career in development finance and ratings, have served as former Managing Director and Head of the Global Infrastructure Group, Asia Pacific, and of the International Public Finance Group, Asia Pacific for Fitch Ratings. At Fitch Ratings, Bill was responsible for the credit ratings of debt financings for infrastructure assets in the transportation, energy, water and social infrastructure sectors, as well as state and municipal ratings in India. Previously, Bill was Vice President, Public Finance Group at Moody’s Investor Service where he was responsible for public finance and infrastructure debt ratings, at various times in the United States, Canada, and Latin America. Bill has a Masters in City and Regional Planning from the Kennedy School of Government, Harvard University and a Bachelor of Arts in Political Science from the University of Houston. Bill is a visiting scholar with the Global Projects Center, Stanford University, and a member of the Private Sector Infrastructure Advisory Group to the Asia Pacific Economic Cooperation (APEC) Finance Ministers. Roy Torkelson has over 30 years management, finance, investment banking, governmental and consulting experience. He currently serves as Managing Director, Utilities and Water/Sanitation Finance for AMF Guarantee Corporation, a start up financial guarantee insurance company focused on the financing of essential public services. Roy has advised many national and subnational entities including Canada, Mexico, Colombia, Peru, Kenya, Czech and Slovak Republics, Nordic Bank, Kuwait,Tamil Nadu, India, Vietnam and the Philippines on innovative and sustainable ways to finance their water and sanitation infrastructure using local currency debt capital markets. Since 2008, Roy has been a Board Member of the United Nations Secretary General’s Advisory Board on Water and Sanitation (UNSGAB). Roy has also been heavily involved in working with development banks to encourage the scaling up of pooled financing and revolving funds. Roy’s investment banking career includes serving as Executive Director at JP Morgan and as Director at Merrill Lynch where he was responsible for over $40 billion of debt and equity financings for public water and sanitation entities, as well as innovative environmental technology, transportation and energy related projects. Roy created the statutory framework to allow all municipalities in New York to finance their water and sanitation capital needs with revenue bonds and then created the New York State Revolving Loan Fund (SRF) program, the largest and most innovative AAA rated bond issuer in the U.S. to provide low interest funding for water and wastewater municipal projects. As a result, Roy was appointed Chair and CEO of the NYS Environmental Facilities Corporation to implement the SRF, which now has provided more than $15 billion in interest loans to municipalities for construction of water and wastewater treatment facilities. Roy received his BA degree in Scholastic Philosophy from St. Hyacinth College; his M.P.A. from the State University at Albany’s Rockefeller College, completed all course work necessary for a Doctorate in Public Administration at the Rockefeller College and is a graduate of the State/Local Government Program at Harvard University’s John F. Kennedy School of Government. Adam Whiteman has over 30 years experience evaluating and advising on public sector and Public Private Partnership (PPP) credit and finance in the areas of transport, renewable energy, water and sewer services, education, and other infrastructure sectors worldwide. 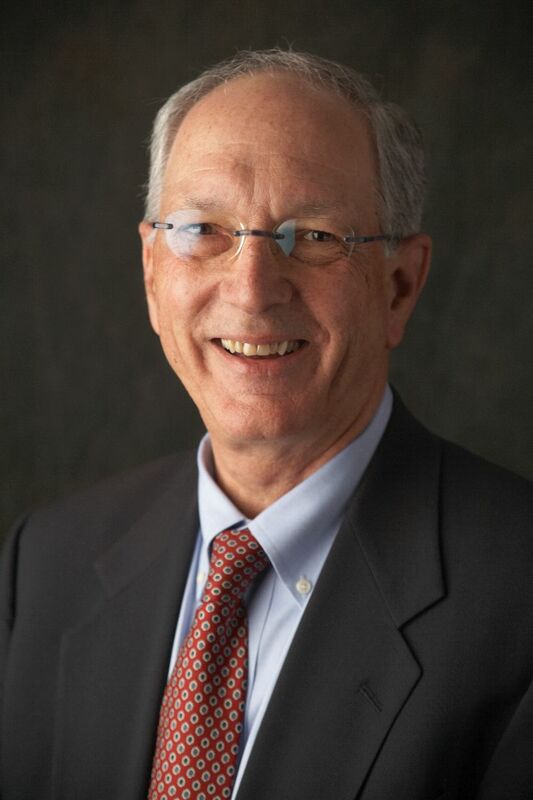 From 2003 to 2015, Mr. Whiteman was Managing Director at Frasca & Associates, LLC where he provided guidance to, and developed recommendations for, public sector transportation infrastructure and renewable energy clients on project funding, long-term capital planning alternatives, debt capacity, capital and operational budgeting, and best practices. In addition, he prepared clients for credit rating agency and investor reviews. From 1986 to 2003, Mr. Whiteman held a variety of senior positions at Moody’s Investors Service. In the Public Finance Department, he managed a number of regions covering local government credits, including public infrastructure and pooled financings as well as chairing the Credit Rating Committee. He later moved to the Corporate Department’s Project Finance Group where he covered Public Private Partnerships (PPPs) and other non-recourse and corporate debt issuers globally, including Canada, South and Central America, Mexico, Aruba, the United Kingdom, the Netherlands, and Israel. As a member of the rating committee, Mr. Whiteman participated in rating decisions on PPPs and other infrastructure issuers globally. Prior to Moody’s, Mr. Whiteman was the Manager for Research at the New York City Comptroller’s Office where he managed a professional staff engaged in policy analysis and program design and evaluation in a variety of area including housing, public health, day care, job training, food and hunger issues, and economic development. Mr. Whiteman received a B.A. in Biological Sciences from Queens College CUNY and a MA in Urban Affairs and Policy Analysis from the New School University in New York City. Chris Meisl has over 25 years experience in managing major technology projects and designing and developing innovative technology applications, including for developing country government officials and operations in the US and India. Chris was most recently the Chief Applications Architect for Visible Measures Corp., the premier analytics company tracking online video viewing, where he supervised an international team (US, Canada, India) of developers to build internal and customer facing tools for online video measurement. Chris has been a principal at Big Chief Partners, spearheading web application development and XML/XSL technologies in the content management and online publishing arenas. Chris has built electronic publishing solutions for traditional print businesses, including the pioneering STAT!-Ref Medical Reference Library on CD-ROM and the web. To meet the demands of electronic publishing, Chris developed a high performance full text search engine with configurable relevance ranking, style sheets, and XML support. The engine is now part of over a dozen CD-ROM and Internet products with over a million users worldwide. Previously, Chris was founder and CEO of Content Management Solutions (now part of TDS), Partner and President of Meisl & Associates, VP of Engineering at Teton Data Systems and Technical Lead at NASA/JPL. As CEO of Content Management Solutions, Chris engaged numerous publishers in moving print assets to the digital domain, participating in both the business initiative and the technical realization. He championed a Return on Content (ROC) methodology that maximized the value of content across a publisher's offerings and emphasized workflow and open standards for "future-proofing" technology investments. Audrey Hagen has spent the last 16 years developing software programs. She worked for Tektronix where she developed telecommunications software using C++, Visual C, and Visual Basic. At UniLink, she developed key components of the new Windows payroll program, which involved extensive database design as well as front-end user interface design. Audrey has been working at Redtopia for the past three years concentrating development on the Content Management System. She has also worked as the lead developer on a CD-ROM publication for the Colorado Veterinary Medical Association, which was built in Adobe Acrobat (PDF). She also developed the first web site at Montana State University for the Computer Science department as well as being involved in the design and implementation of the main web site for the University. Audrey graduated from Montana State University in 1995 with a MS in Computer Science.